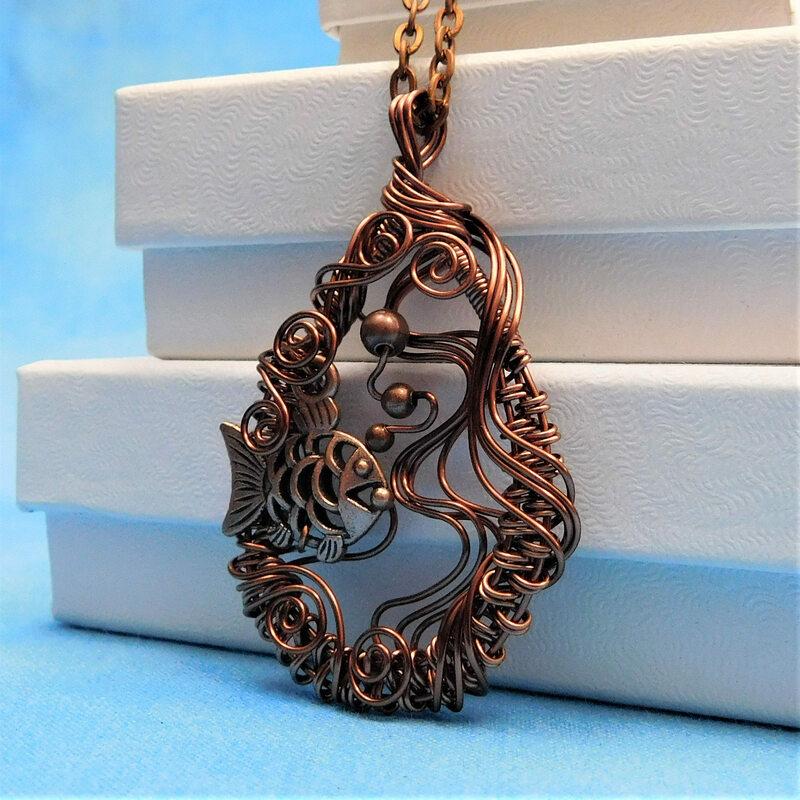 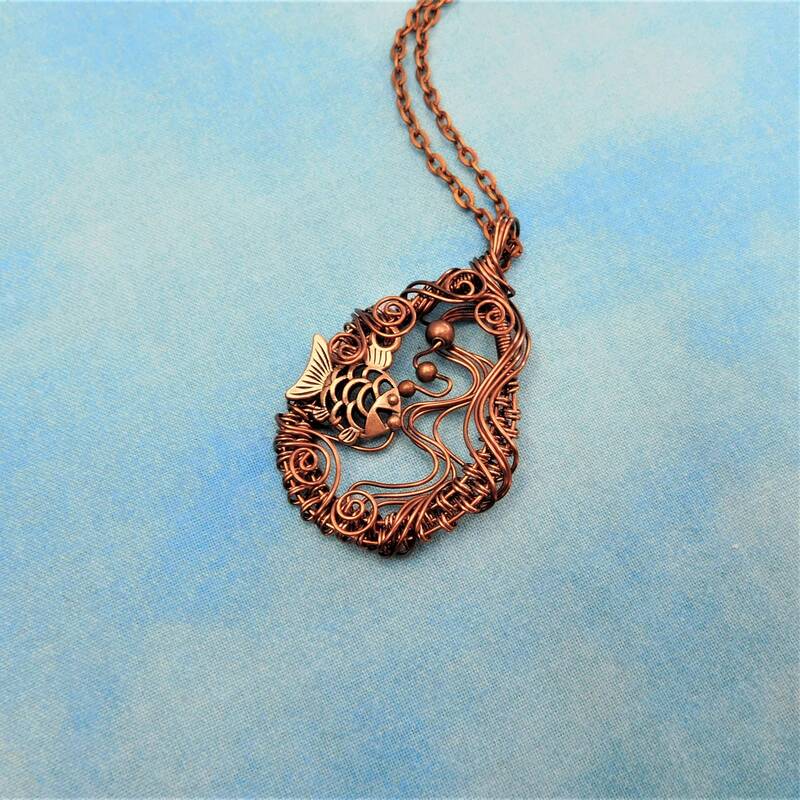 Within a hand off-loom, artistically woven copper wire frame, swims an adorable fish, lazily blowing bubbles. 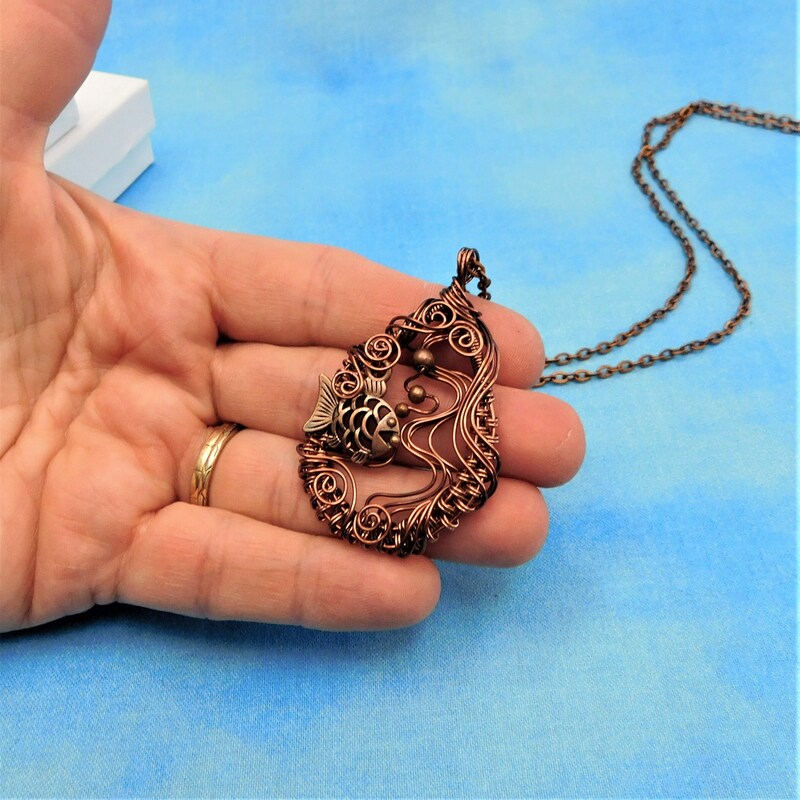 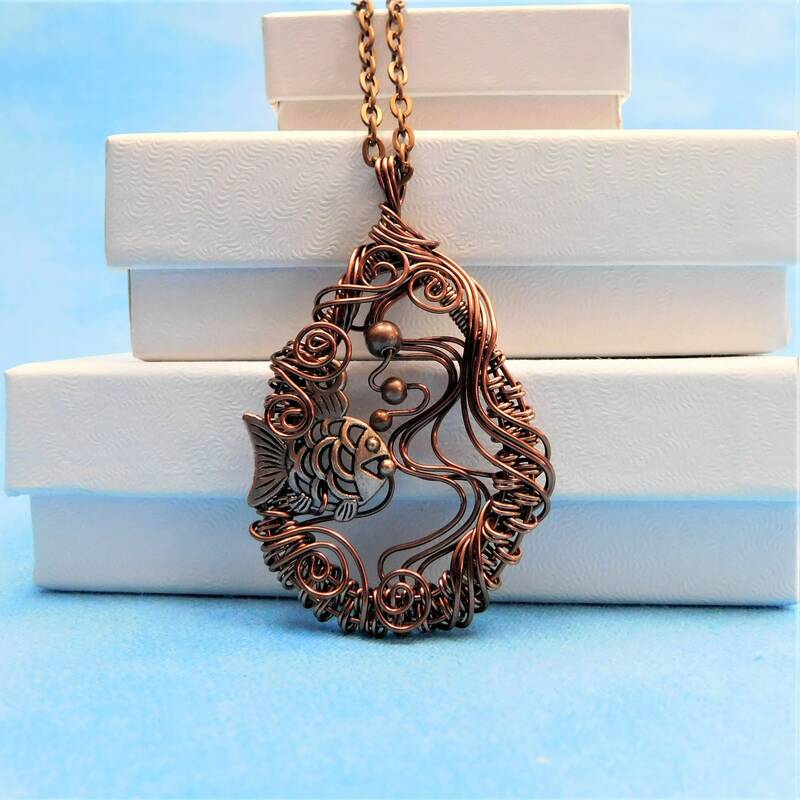 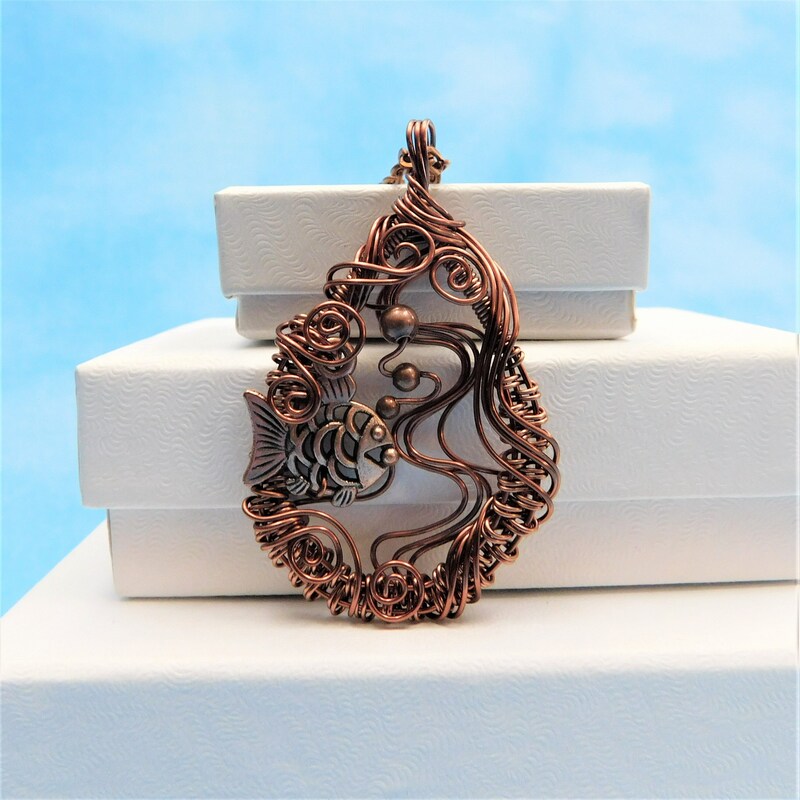 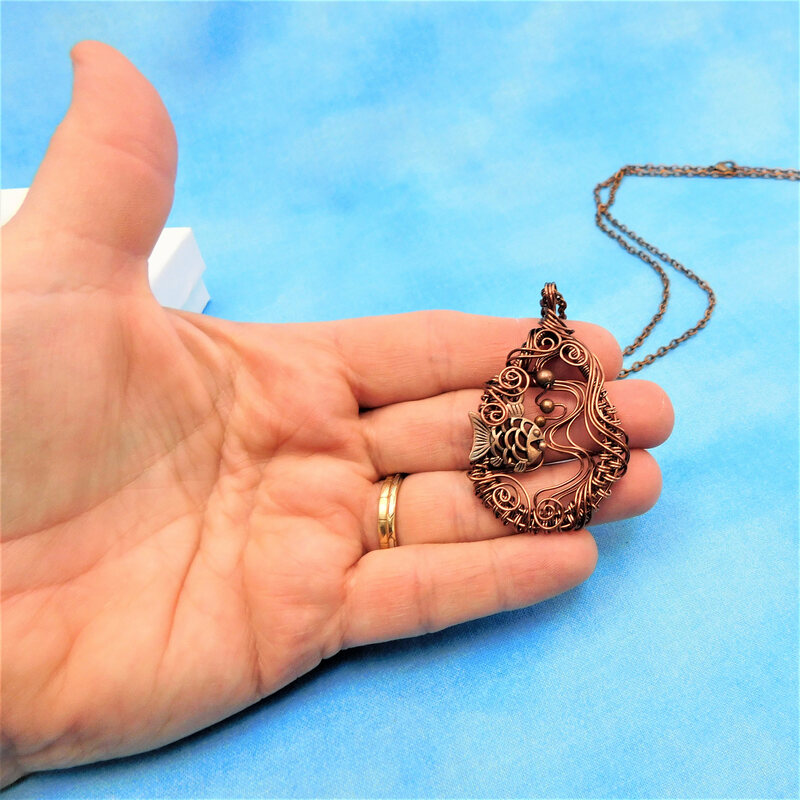 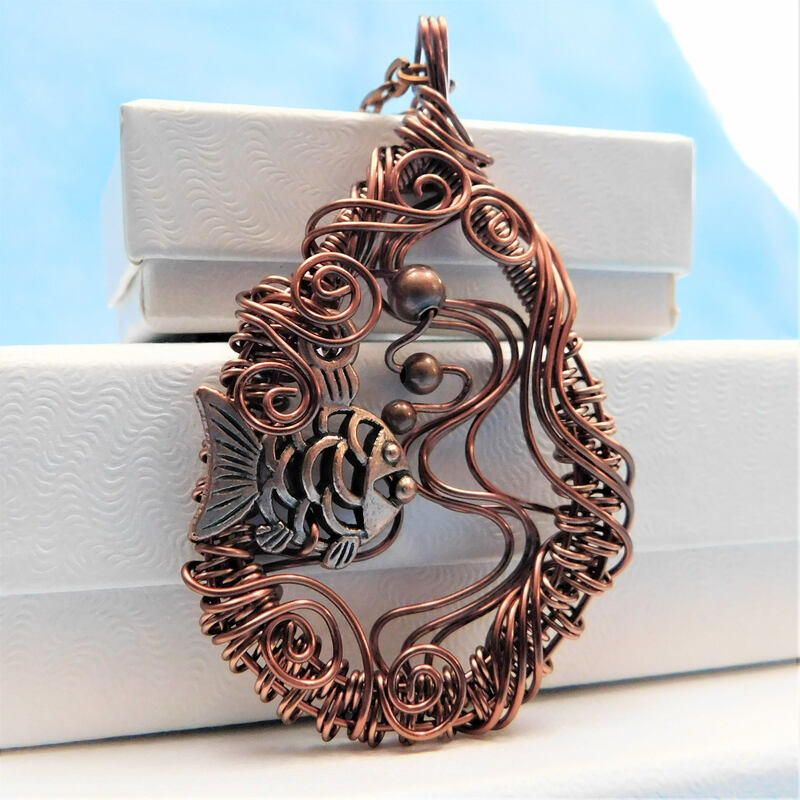 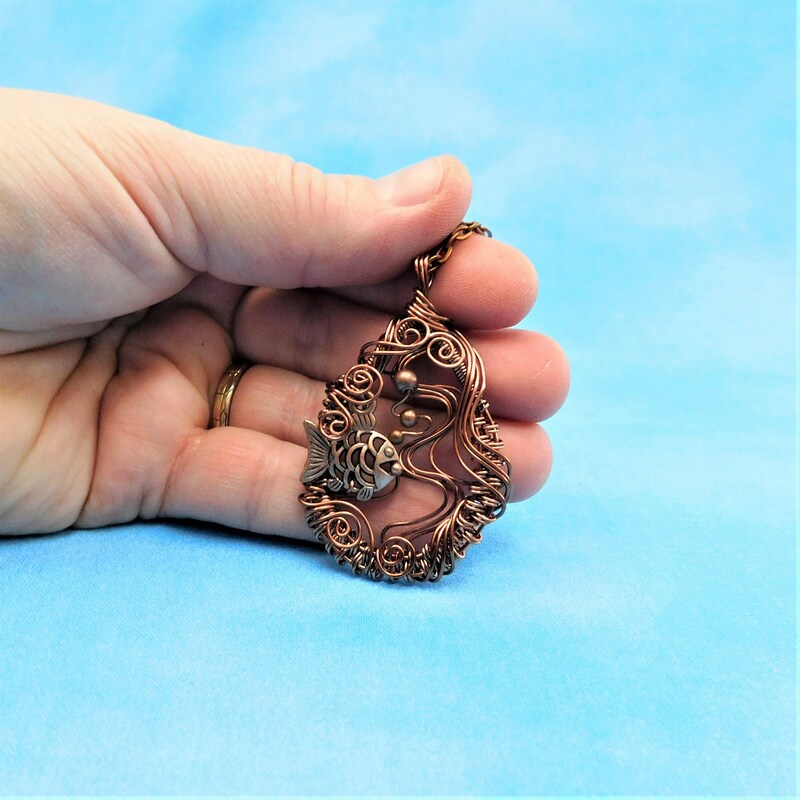 The pendant is crafted with non tarnish antique copper colored copper wire. 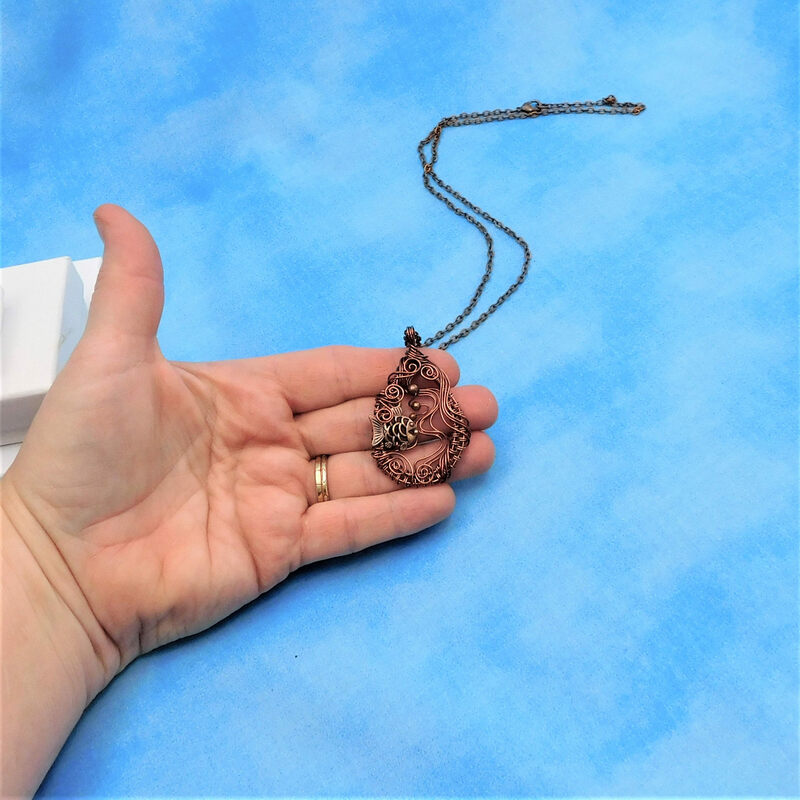 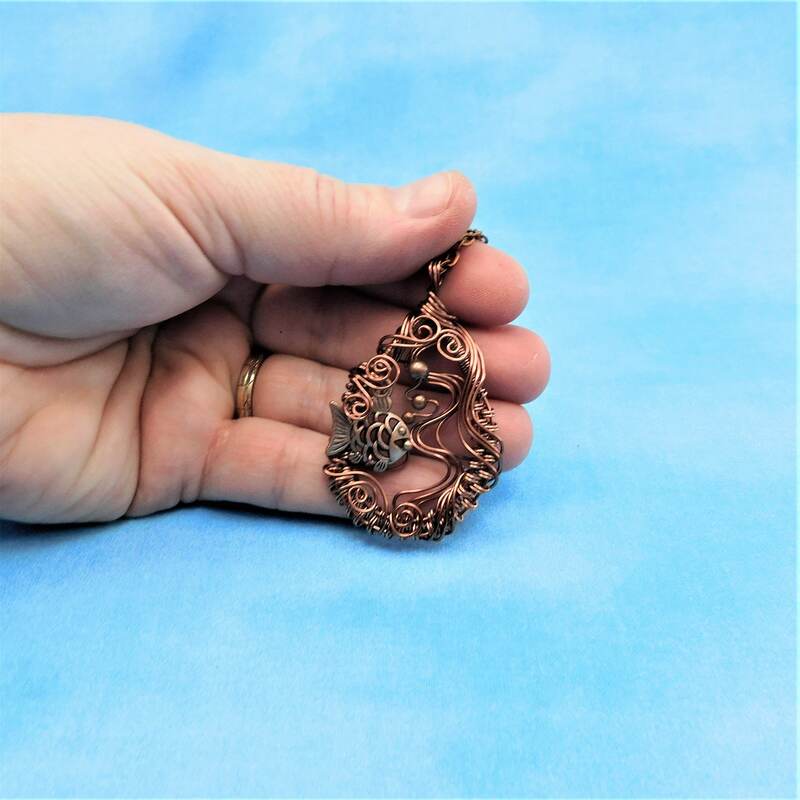 This fun pendant measures 1 3/4 inches by 1 1/4 inches and comes with a FREE coordinating chain with lobster claw clasp, measured to your preferred length.